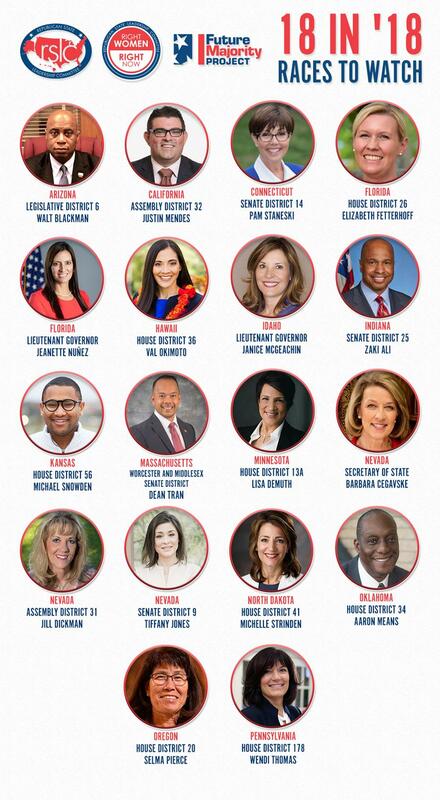 Today the RSLC released its third edition of the “18 in ’18: Races to Watch” list featuring candidates from 15 states. This edition includes three female candidates running in competitive statewide elections, who are poised to make history if they win in November. “Republicans at the state level would not be reaching historical highs, without the growing diversity of our party. The outstanding candidates from the newest ‘18 in ‘18’ list represent the best from our Future Majority Project (FMP) and Right Women, Right Now (RWRN) initiatives,” RSLC President Matt Walter said upon release of the third edition. 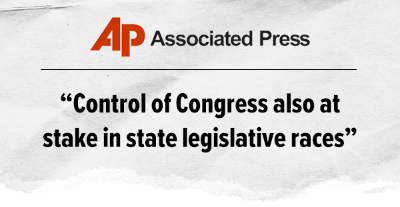 The Connecticut Post profiled the battle for the state Senate chamber this week, an offensive opportunity for Republicans to flip the currently tied legislative chamber. The story focused on state Representative Pam Staneski’s campaign for the 14th state Senate district. Staneski, who was featured on the above mentioned “18 in ’18: Races to Watch” list, could become the 19th Republican Senator in the chamber if she flips this district in November which would put the Republicans in the majority. On Tuesday, Tim Armstead was sworn in as a member of the West Virginia Supreme Court. Armstead, the former Speaker of the West Virginia House of Delegates, said he is ready to help rebuild the credibility of the Court after four justices were removed from the state court and described the past year as “very, very challenging to our judiciary system.” Armstead’s term will only go through the end of the year but he is running in the November election to fill the remaining term.